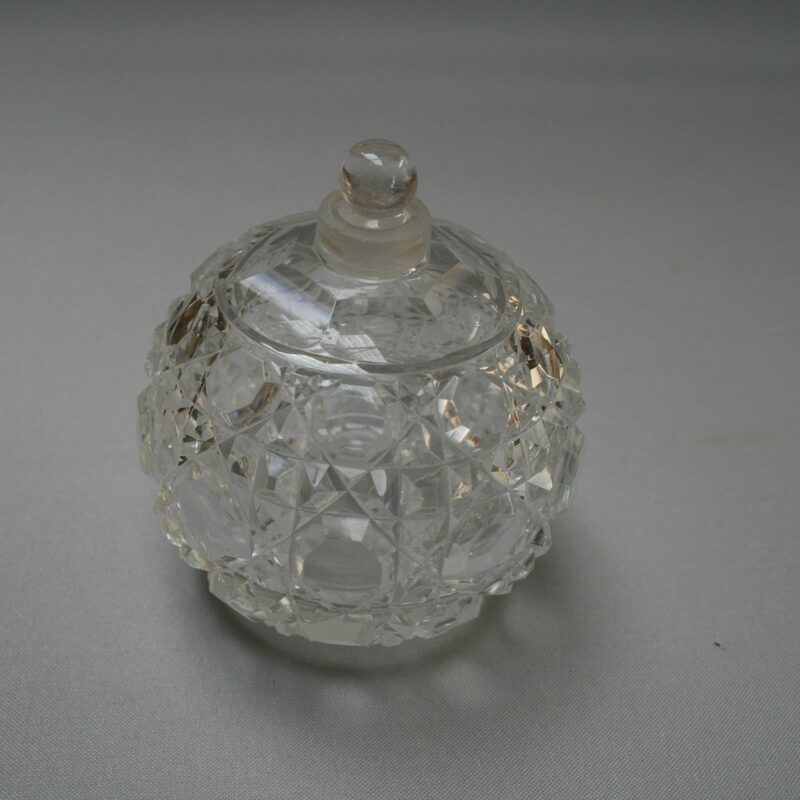 A round cut glass scent bottle. 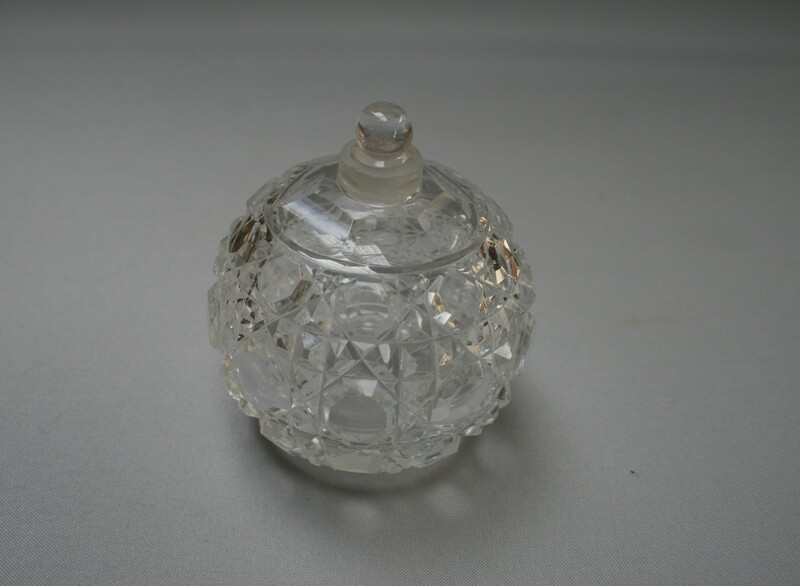 It has three rows of hexagonal facets that run round the body of the bottle. It has a small glass stopper.